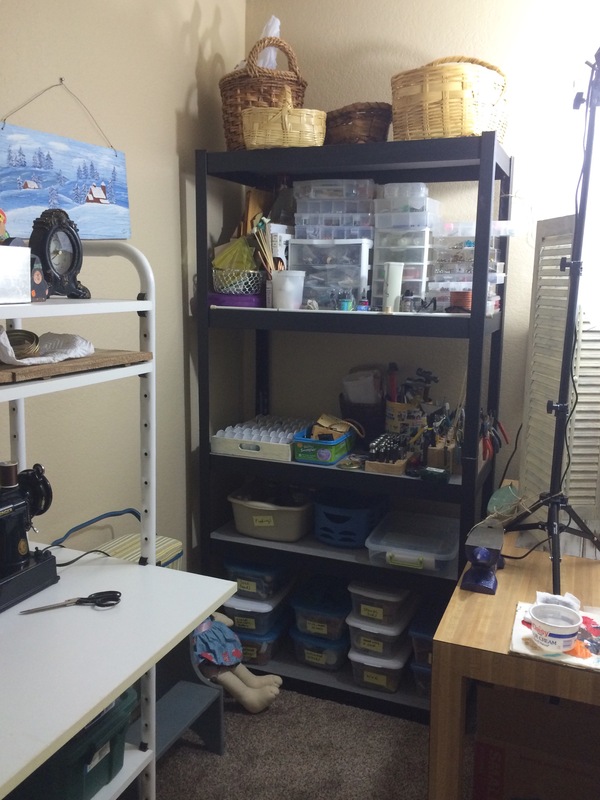 I am so happy to say, I have finally gotten my craft room somewhat organized. 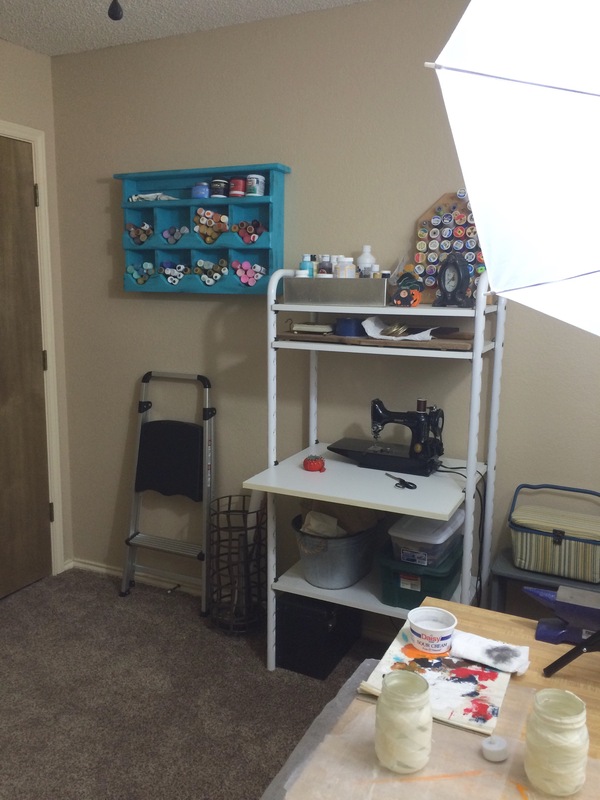 We moved in over a year ago and it has taken me all that time to get my craft room in order. When we aren’t working at our day jobs then we spend most of our time either on remodeling other parts of the house or trying to keep the yard up, which doesn’t leave a lot of time for anything else. I finally just took some much needed time for myself and got busy on my craft room. I have a shelf for my small bottles of paint which makes the colors easier to see, and a place for my sewing machine. I bought a bunch of clear stackable tubs for my jewelry supplies, stamping supplies, stencils, tools, etc. Divider containers for jewelry conponents, baskets for my yarn, and raffia. 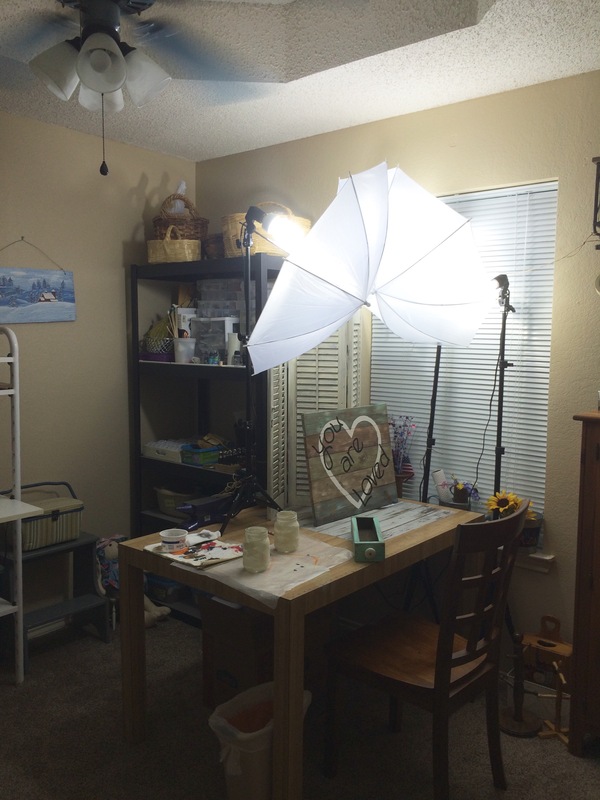 I have my craft room table setup where half is my photo studio, and the other half is my work station. 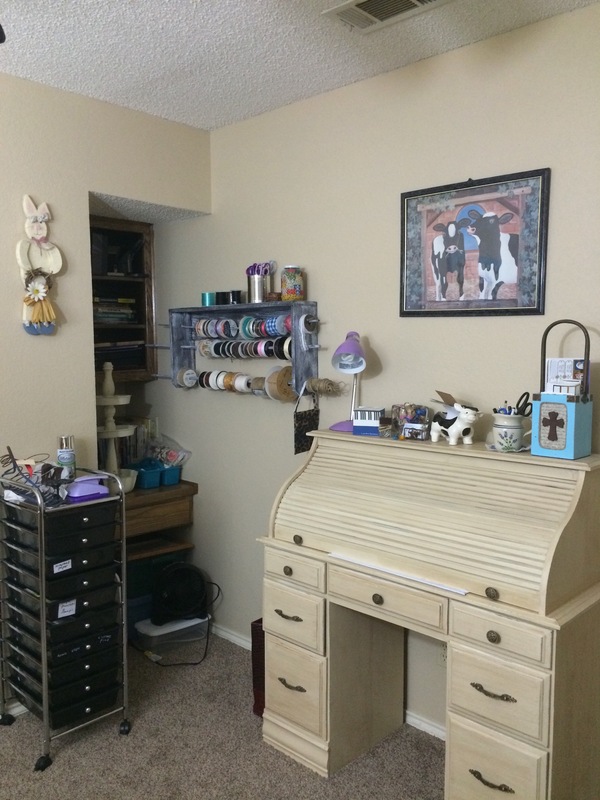 I didn’t realize that I had so much craft supplies until I started organizing my craft room. I also have three shelves in the walk in closet full of wood parts, bottles, frames etc. waiting to be repurposed. 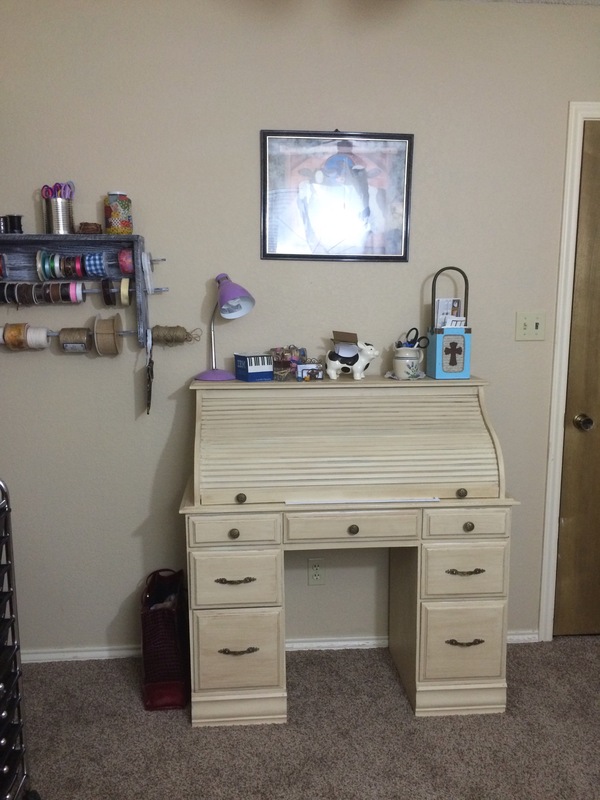 Here’s the rolltop desk that I picked up at a yard sale for $5. I had to clean it up and replace a couple broken pieces. It is amazing what a coat of paint can do. 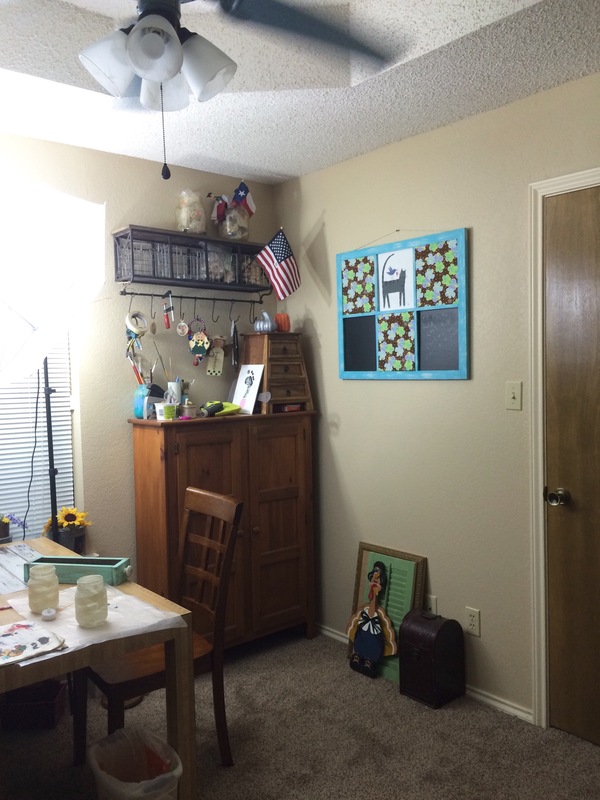 Do you have a designated craft room, or just a small area in another room? You are so lucky to have a photo spot set up in the house. I don’t have any just the outdoors and when it’s cold, not fun! It’s not much room but it does it’s job for small things. Larger things I have to take outside or in the sun room and hope for the best.